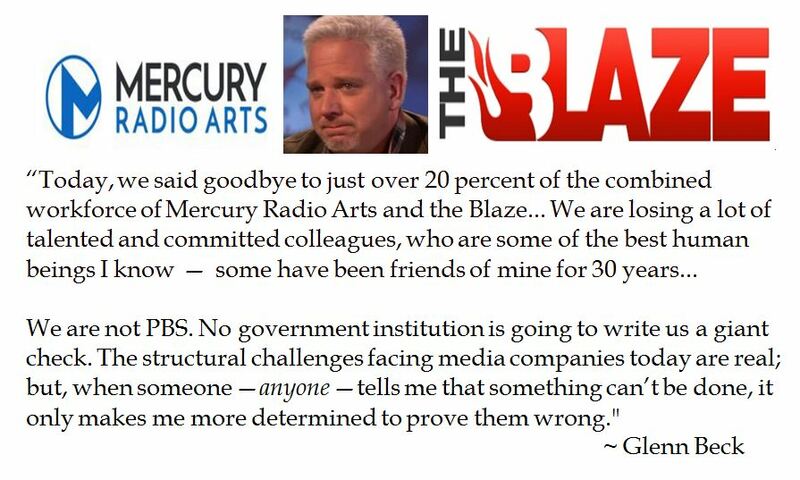 Last week, Glenn Beck’s The Blaze and Mercury Radio Arts announced a 20% cut in staff. Many critics take schadenfreude at this cost cutting moving for the six year old trans-media company. Beck felt compelled to can his longtime friend Mike Opelka (a.k.a. “Stuntbrain”) who had been hosting during the weekday 12pm-3PM and Saturday morning slot. Despite the venom spewing from MAGA critics and liberal cynics, this does not spell the end of Beck’s alterative media venture, but is certainly a setback. As Beck’s platforms undergo an agonizing reappraisal, it is worthwhile to make a Blaze-ing (sic) retrospective of the ventures. For full discloser, this writer has been a subscriber to GBTV/The Blaze since its inception. While one ought to respect the integrity of Glenn Beck and appreciate his contributions to the media and political landscape, it does not preclude taking a critical eye or thinking for onself on issues. Glenn Beck started a syndicated national radio program for Premiere Networks (the same group which syndicates Rush Limbaugh and Sean Hannity). Beck started with a rodeo clown shock jock reputation. But after the terror attacks on 9/11, he took an increasingly serious interest in current events, albeit with a wry and emotional sensibility. Beck got into television via a show on Headline News Network (a CNN channel) from January, 2006 to October, 2008. As President Obama was being inaugurated in 2009, Glenn Beck Program premiered at 5 pm on Fox News. It was there Beck achieved phenomenal ratings for his non-prime time slot as well as considerable controversy. Beck left Fox News in July, 2009 to start up his streaming television venture GBTV through Mercury Radio Arts which later morphed into “The Blaze TV”. Glenn Beck has not shied away from taking political stands which ruffle feathers and are not in lock step with his supposed side. Despite prominently promoting “W”’s re-election in 2004 (the John Kerry Waffle Head bit was memorable), Beck seemed to become dissuaded with President Bush after Hurricane Katrina in 2005 and the confirmation of Beck’s libertarian sensibilities. After President Obama assumed office in 2009, Beck posited that Obama had racist tendencies as displayed by his reactions Henry Louis Gates arrest. During the run up to the wide open Republican Presidential Primaries in the 2016 election, Beck was charry about candidate Donald Trump and the articulation of nationalist politics. This evolved into becoming an anti/never-Trumper which persisted through the General Election. Of course, the stunt in which Beck and his posse doing Cheetos facials further stoked the ire of many MAGA loyalists. One of the major motivation of establishing alternative media platforms was to ensure that an unadulterated message could reach an audience. While Beck maintains that he left Fox News on good terms (and continued to appear for years on The O’Reilly Factor, Megyn Kelly and Tucker Carlson Tonight), Beck was steered away from focusing on some subjects and encouraged to tone things down on his own show. Beck worries about the potential of government censorship (e.g. a re-application of “The Fairness Doctrine”) as well as corporate steering of topics. Orson Welles’ meteoric multi-media career in the 1930s served as an inspiration for Glenn Beck’s multi-valiant media ventures through Mercury Radio Arts, including “GBTV/The Blaze”, “Blaze Radio”, “The Blaze” website, Mercury publishing, stage appearances, films, music and charity. The streaming television part of the media empire started in 2011 with an eponymous name and anchored by a simulcast of the three hour radio program along with an extended Glenn Beck TV program. Beck sought to de-emphasize his imprint by assuming the moniker “The Blaze” (a reference to how fire burns to the truth). A year later, The Blaze Radio began, which featured different radio hosts (beginning with Doc Thompson and Jay Severin, later Buck Sexton, Mike Opelka and Chris Salcedo). There are also several regular radio shows which are available for podcast. The Blaze TV was one of the first successful paid streaming television ventures, using MLB Advanced Media technology for a great picture, whether on a mobile device or a large screen HDTV. While NewsMax and One America Network have made strides in cable carriage, arguably neither have made a major media impact. Ventures like PJTV and SarahPalinChannel have withered and died, failing to monetize ideological video on the web. But CRTV venture seems much stronger than PJTV, including the originator Mark Levin, Michelle Malkin and Stephen Crowder. Glenn Beck has proven to have a good eye in spotting and developing media talent. The Blaze TV’s first hire was Amy Holmes. Beck developed Buck Sexton into an accomplished radio host and television commentator (though Sexton’s TV simulcast was short lived). A Dana Loesch producer Lawrence Jones was lifted to the media spotlight and given his own radio show, along with commentator appearances on other networks. And The Blaze TV gave then 23 year old Tomi Lerhen her own show, in which she catapulted into the conservative commentator stratosphere, until she was terminated for being inconsistent about her so called conservative views favoring abortion. The Blaze TV has mainly relied upon a subscription internet model, although it is also available as a premium channel on Dish TV satellite and Verizon’s FIOS cable. Mercury Radio Arts made serious enquiries about buying Current TV (Al Gore’s channel) in 2013 and was rumored to buy its successor Al Jazeera America, the latter which Glenn Beck vehemently denied. The Blaze TV was based in Dallas, Texas but the Real News roundtable and later Buck Sexton’s radio/TV show was produced in Manhattan. 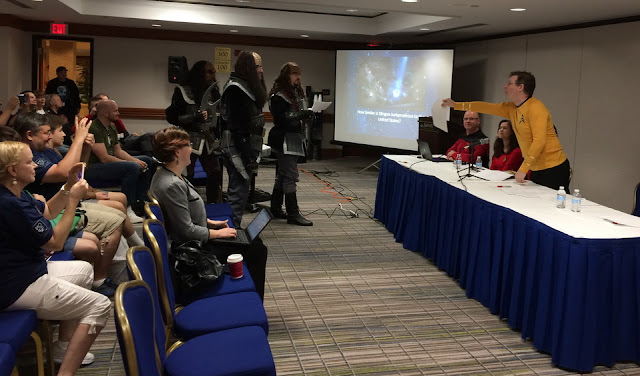 The Blaze also had an office in Washington, DC. As a media venture The Blaze TV is challenged by limited conventional carriage issues. During the kerfluffle on fairness in presenting the 2016 Republican debates, The Blaze TV made a strong pitch to host a GOP debate . Obviously, the move was intended to attract attention and prospectively earn wider cable carriage. But this did not happen, which may have in part been due to the never-Trump reputation of Glenn Beck and the networks. 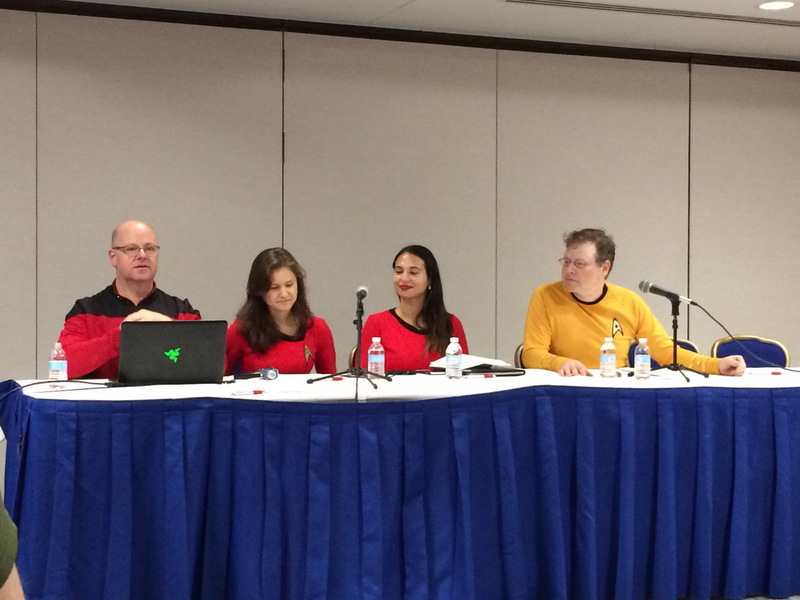 As for “The Blaze Radio”, the programming mainly has been distributed as live streaming as well as via podcasts (e.g. I-Tunes, Stitcher et ali) and I-Heart Radio (Clear Channel). There was a still born endeavor, which The Blaze Radio would have channels with regional news/traffic focus (e.g. Philadelphia), but that was a short term one off. As Buck Sexton went off to his own syndicated show, The Blaze Radio adapted and started to carry his early evening show live. For four years, The Blaze Radio had its own channel on Sirius/XM, which was eventually demoted to a streaming sub channel before it was terminated in 2017). For several years, The Blaze Radio provided top of the hour news updates for a couple of Sirius/XM talk channels. The Blaze website was intended to be a center for up to date news, which would feature positive takes on faith and some feel good stories. The website has not been as successful as Breitbart and developed a poor reputation of appearing cluttered and simply “click bait”. Although Beck has strived not to make his media ventures, his shadow looms large on the various ventures. The original concept for his TV show was to eventually involve viewer interactivity, in which a viewer could pause a program to search prior shows about unfamiliar concepts before returning. Alas that is an idea which Beck is again slightly ahead of the curve. Starting out, GBTV/The Blaze was intended to be a streaming TV netlet with a strong news emphasis (such as the nightly one hour Real News), investigative journalism (For the Record), wholesome afternoon kids show (Liberty Treehouse), simulcast of Beck’s radio program and his extended TV program along with original entertainment shows (Independence USA). Obviously, some media concepts fall flat, such as a survivalist reality TV show. Other programs like afternoon educational kids programming reveal there is a small market. And then there’s the gorilla in the room, the costly nature of producing quality news programs. That being said, a fair portion of upheaval in programming comes from shifts in The Blaze driving force’s priorities. Beck knew that it was costly to produce quality news, but wanted to be recognized as a legitimate news network. When the nightly news round table folded, The Blaze TV went to great lengths to produce investigative journalism. But those shows seemed to have abruptly ended. Another impetus of The Blaze has been to educate the audience. While on Fox News, Founder’s Friday proved to be wildly popular. Beck sought to replicate that last season with a twice weekly “The Vault” (showing history artifacts while telling the story) and “HIStory” (an extended historical bio show). In addition, Beck produced cross platform serial segments on history. But that programming seemed abandoned mid season. Beck has shilly shallied from being a conservative political activist to a libertarian contrarian and now seems despondent at the course of current events. In the 2016 election cycle, The Blaze Radio hosted commentary shows after many of the Presidential debates. As mentioned, Mercury Radio Arts wanted to fairly host a GOP debate in Dallas. Judging from Beck’s current commentary, he seems to want to guide the network away from partisan bickering where you can find everywhere else in the media. That is wise, but apparently educational news that you can use or extended format history segments are not profitable for The Blaze. While it is foolish to believe that everyone employed at The Blaze are Beck’s automatons, Beck does exert an extraordinary influence the direction of the venture. The Blaze seems to have backed off on small enterprise live spot advertising (aside from the self owned realty group). . Moreover, there has been a de-emphasis on 1791 clothing, music, publishing. And there has been a lack of live shows, whether they are comedy tours, artistic events (like Man on the Moon in 2013) and public affairs gatherings (e.g. Restoring Honor, Restoring Love). Perhaps these ventures took away from Mercury Radio Arts core competencies or were too difficult to do well, but these changes reflect Beck’s constantly shifting priorities. The Blaze TV’s programming has seen several shifts: 1) full service streaming netlet 2) educational news you can use 3) supplementing personal conservatarian activism 4) current events source 5) less partisan programming featuring radio simulcasts. These constant shifts hurt network branding and positioning. Some of the programming choices seem like friendly personal predilections, such as “The Wonderful World of Stu” and "Pat and Stu". It will be interesting to see if Pat Gray can live up to his billing of being a crack radio host on his own during mid-day radio prime time. In mid-September, Mercury Radio Arts is conducting an all-hands-on-deck meeting which, in the interests of opacity, will be released in a podcast, to flesh out the direction of the networks. Glenn Beck is convinced that media is at a pivot point and that traditional networks are a dying breed of media dinosaurs. As predicted in 2011, The Blaze has been ahead of the media curve and was wise to employ a multi-media and trans media approach to find out what works. Despite alienating some Trump-eteers and mockery from the mainstream media, Beck has developed a loyal audience for his streaming network. The Blaze's mission statement is to "change the world for the better". But increasing those eyeballs requires integrity and a sustained vision. The latter quality may mark a fire line for The Blaze in setting the world on fire with truth in order to make the world better.